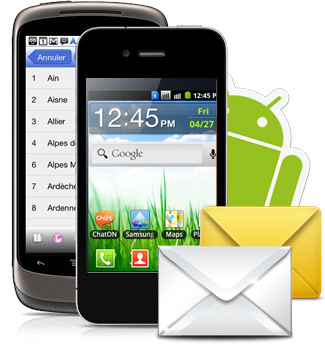 Download Android Mobile text SMS Software for Mac to send group text messages. SMS broadcasting program easily sends group SMS from Apple Mac OS X installed machine using Android mobile phones. Advanced delay delivery option to control load of bulk SMS broadcasting. Option to load contact file for sending group SMS. Exclusion list wizard facility to maintain list of contacts or groups. Supports Unicode characters to send sms in any language.